Fans have waited an entire year to find the answers to many unsolved questions after the shocking end of Avengers: Infinity War. 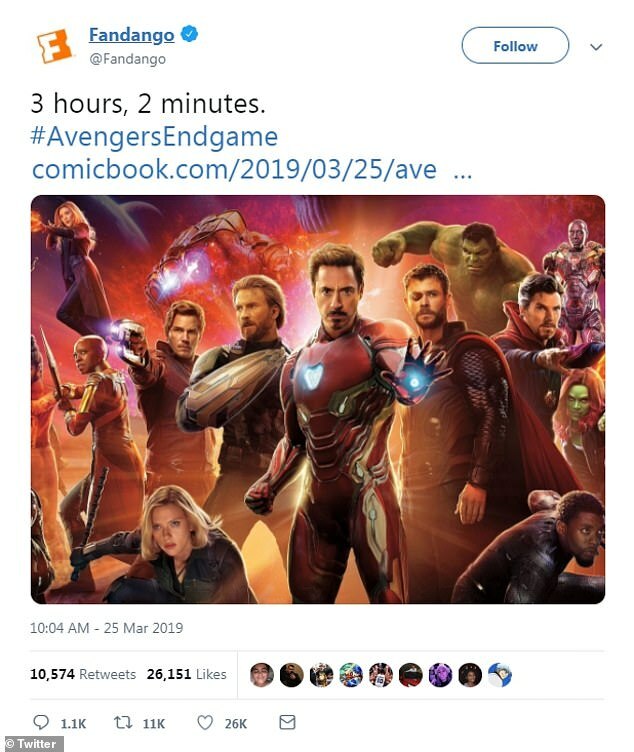 And Marvel Cinematic Universe enthusiasts will endure more than three hours of action and adventure with the April release of Avengers: Endgame, according to a short-and-sweet tweet from Fandago. Twitter user Sam Mathai shared a few wise words with a photo of Jimmy Fallon writing some sentiments. 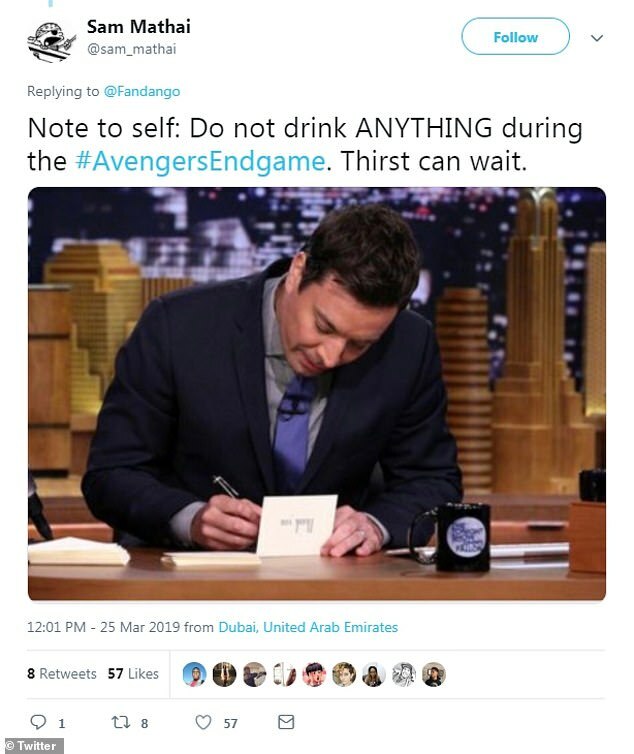 ‘Note to self: Do not drink ANYTHING during the #AvengersEndgame. Thirst can wait,’ he wrote. 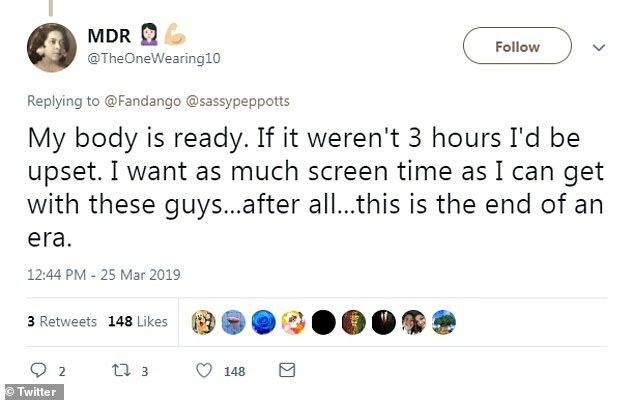 Another user had similar ideas and wrote ‘My body is ready’ for the 182 minute superhero film. Despite the long screen time, devotees don’t seem to be too phased by the hours ahead with their favorite characters. ‘Cool. 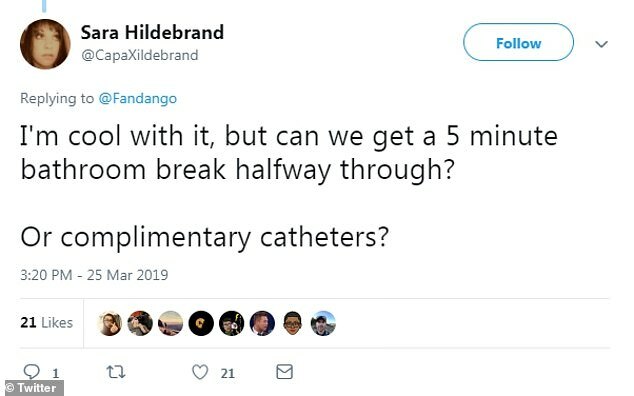 Can I get a ticket now,’ @WeirdPeople27 asked before hundreds of users followed suit by liking the comment. Last year’s Avengers: Infinity War held the title of longest Marvel movie at 149 minutes.